Started in 2005, DNS Accountants is a financial service provider that offers services like accounts management, financial planning, and taxation planning to various types of clients including owner managed businesses, freelancers, contractors, and construction industry contractors. We offer various tax planning and resource management options to our customers and help them make the most of the opportunities. DNS has been an award-winning consultancy since early 2013 and is well known amongst the industry members. We have been nominated and accredited with various awards and are also listed amongst the top accountants in the UK. With so many accreditations and awards being bestowed upon us within the first 10 years of our formation, looking back is certainly not on the cards. We became an IPSE Accredited Accountant in 2015. 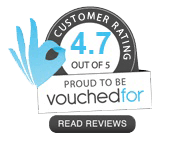 Our team of experts is all well qualified, and specialist in their field of choice along with accreditations from various reputed accounting bodies. We provide our clients with services such as Accounting Compliance and Tax Advice, Business Growth System Dedicated Account Manager, Smart Cloud Software. Wimbledon is a district of southwest London, England with a population of above 70,000. Wimbledon is home to various notable companies and charitable organizations including CIPD, Ipsotek, United Response, and the GMB trade union. The car sharing company Zipcar has its UK headquarters in Wimbledon. The very presence of global conglomerates setting their foot in Wimbledon has been a primary reason why DNS felt the need to extend its services to the businesses and individuals at Wimbledon. Our Small business accountants in Wimbledon are highly knowledgeable and suitably equipped to help the start-ups and small businesses with various accounting and financial issues. We, at DNS Accountants, provide our clients with expert guidance on financing sources and much easier repayment options. Our accountants are trained in every field of tax planning and services, and their experience aids our clients in making correct choices. We provide an extensive array of services such as book-keeping, verification of transactions, maintenance of balance sheets, ledger accounts, maintenance of main and petty accounts and voucher payments. DNS Accountants with its exceptionally talented Tax Accountants in Wimbledon provides its clients with all sorts of benefits such as recognizing a company’s tax liabilities and at the same time providing internal support on tax planning and repayment of loans. This way our clients have a clear picture of their business and can work to enhance their profits. Our tax accountants keep records of all the income sources of our client’s and help them to invest their money in the best options. Start-ups and small firms often find it difficult to manage their finances and hence, their business growth is badly affected. We at DNS Accountants provide experienced and proficient small business accountants in Wimbledon to help small firms and start-ups to make the maximum use of opportunities. We lend ears to all businesses, big or small, to make the economy stronger with different business concepts. We understand that start-ups are new in the business and the similar confusions, doubts, and cautions that they have to face regularly. We give all our clients enough room to present their views without any hesitation. Approaching DNS is not at all difficult as you can reach to us by internet or telephone but if the matter is pressing you can even schedule a face to face meeting. The details are all listed on the website. 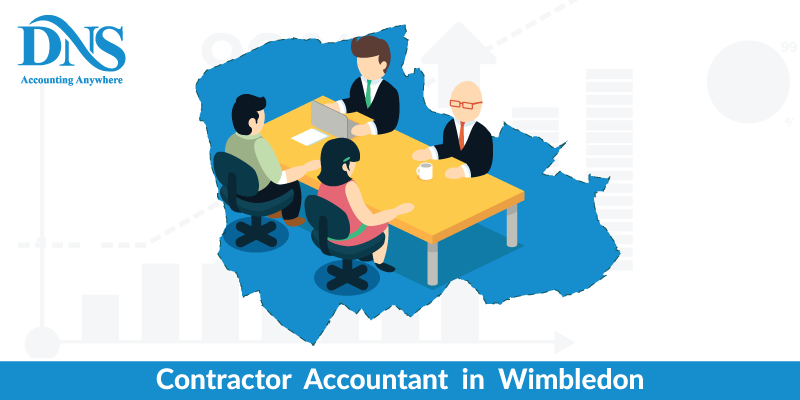 Our Chartered accountants in Wimbledon provide financial assistance, audits accounts, provides beneficial and trustworthy guidance. This includes taxation, preparation of financial reports, corporate finance, business recovery and dissolution too. Our experts ensure smooth transition whenever there are any mergers, acquisitions or collaborations on the company front. Management of financial budgets and systems is also done aptly by our Chartered Accountants in Wimbledon. We provide services for risk analysis, and administration, professional help in business up gradation, proper strategic analysis for business expansion as well as reports are prepared to provide financial information and advice. Monthly and annual account sheets are also made to present the current state of affairs of the company. We take utmost care in allocating the right person for the right job. Our statements are never misleading. Emphasis is laid on developing and nurturing a positive and fruitful business relationship rather than just making money. The chartered accountants at DNS are experienced and competent in giving you the right advice. At DNS Accountants, all kind of information is kept confidential, and all your legal and professional proceedings are kept concealed. Indemnity insurance service at DNS Accountants serves as a protective layer to all sorts of business firms. Indemnity insurance or insurance cover provides a shield to smaller and expanded businesses. It allows a reasonable zone of correcting mistakes which had been committed inadvertently, within a set frame of time. We cover unintended legal negligence, trademark violation and breach in broadcasting rights. This saves you a lot of money that would otherwise have to be paid in compensations. We cover accidental data theft or loss as well. The team of experts at DNS makes sure to keep you secure from all kinds of risks involved in your business transactions. Growth happens when the revenue obtained is greater than the investment made. Higher the revenue, greater is the growth. Growth is related to the successful completion of operations of a company. Our Small business Accountants in Wimbledon prepare demand and supply reports and various analysis that help in working towards bettering the production and increasing profitability. Better production results in higher acceptance of the rights and incremental revenues. We provide services that identify all your investments, howsoever small they may be. This identification resulted in the better conclusion of the income to investment ratio and improved business growth opportunities. Following is the list of services that we extend to our clients including start-ups, small businesses, Individuals, Free Lancers and Contractors. Our comprehensive range of services helps our customers maximize their business potential and ensure success in the long run. DNS Accountants’ objective is to maximize the profit of our clients and subsequently reaffirm their faith in us. Along with Wimbledon, we are also offering our services at a number of places in the vicinity, such as Sutton, Croydon, wembley, Bromley, and Richmond.